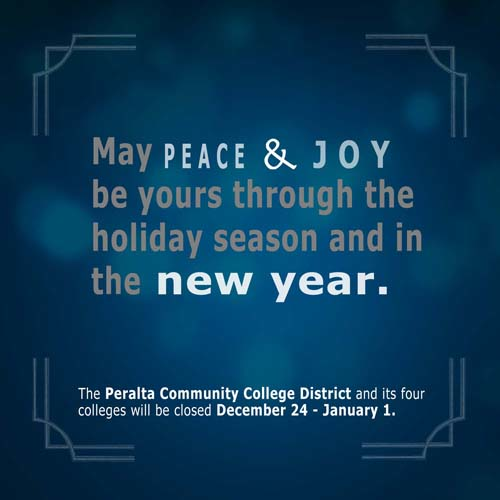 Happy Holidays from the Peralta Colleges! Our offices will be closed for the holiday break, Dec. 24-Jan. 1. Remember, classes start Jan. 21. Enroll now!